When you put two goals past ​Arsenal during the biggest FA Cup upsets of the third round, you deserve something a bit special. 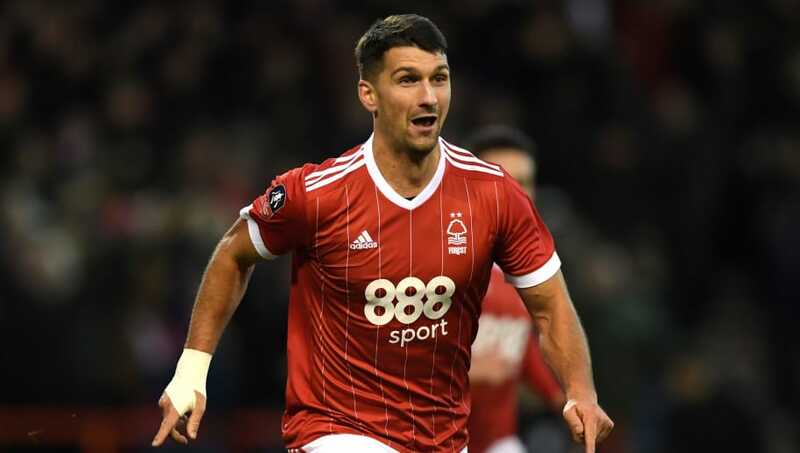 That’s exactly what ​Nottingham Forest fans think about defender Eric Lichaj after the American did just that on Sunday, including a spectacular volley into the top corner. But while some footballers treat themselves to something pricey (​looking at you here, Romelu Lukaku) Forest fans have taken to Twitter to ensure Lichaj is only given what he was promised. The 29-year-old revealed after the match that his wife had promised him a dog if he scored a hattrick. Whilst he failed to get that third goal, fans are adamant the nature of the result and the quality of his goals are enough to get him that pup. He invited his followers to bombard his partner Kathryn with dog pictures, memes and gifs accompanied with the now popular hashtag #GetEricADog. ​​It's pretty clear Kathryn: get the man a doggo.